My name is Matt Norman and I am a Pastor. I am married to my high school sweet heart Kim and have two kids; Trey and Jayden. After many years in children’s ministry, I began to feel God moving me in the direction of pastoring a church. I wasn’t thinking, at the time, of starting a church, but that later became clear that this is what God had planned. In August of 2017, we launched Journey Church of Haines City, the church I pastor. 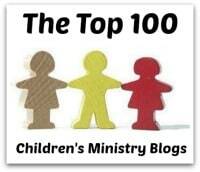 This blog has, for many years, been mostly about children’s ministry and leadership. As God has moved me in a new direction, I think it only right that the blog move in a new direction as well. The title of this blog is “I am Pastor Matt”. I think this title well describes the purpose of this blog. It was intended, from the beginning, as an expression of me. It was intended as a way for me to express myself. Moving forward that is what this blog will be again. So, check back frequently for posts about leadership, church planting, fatherhood, marriage, and life in general. Basically, posts about my life! I have read your blog, and want you to know how wonderful I think it is. Its good to know that you love your ministry so much. Your kids are really lucky to have such a figure in their lives that is devoted to the Lord. I am glad I know you Matt and know that you are true to your calling. I love the Lord also and sometimes feel that I have lost my way and when I least expect it, he is there to help me. Sometimes I forget that he is there all the time, when getting caught up in my life problems. In times of difficulty, I call on him when I should call on him all the time instead of just in times of need. Thank you for your blog and for being such an inspiration in our workplace. Hello Matt, really enjoy your blogs, I’ve found them insightful and prophetic for me in this season of life….wondering if you could tell me the title of one the books you’ve referred to by J.D.Walt? You referred to it in your calling series. Maybe you can find it there. I have a very unusual question that hope you can answer for me or direct me to the right person. I found this song “Pharoah, pharaoh” (https://www.youtube.com/watch?v=5PkMC7O1lq0&feature=em-share_video_user) by kidsrockcm. I have searched all over for a way to either download this or buy it for us to use with our children’s church. I have not been successful, but found your name associated with kidsrockcm. I hope that’s correct and that you might have a suggestion for me. We love this song and would love to teach it to our kids. I bought the song off iTunes and made the video myself. I’d be more than happy to share the video with you, but I worry that this would cross copyright lines. Thank you so much for the fast reply and the useful information! That is a great idea and we will definitely use it! Contact me some time about your American La France truck and the SVFAA.